"Spectacular and very cosy Cottage. You really feel at home here. We've had a great time here. Comfortable and close to everything". Andy and Monica. This beautifully renovated cottage provides everything required for the fantastic 'home from home' holiday. 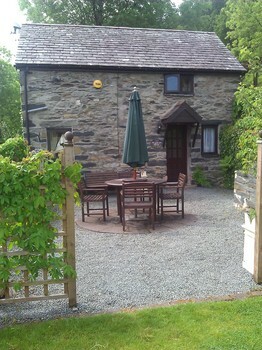 It is available for weekly lets throughout the year - short breaks are also available through the winter. Set in a peaceful gravel courtyard, with outdoor sitting areas and surrounded by fields and woodland, perfect for relaxing. The cottage is traditionally and beautifully furnished to a very high standard to ensure your stay is a most memorable and enjoyable one. "Great location, everything we needed, very quiet - and the weather was so nice that the patio was wonderful". Gene and Donna. "In a word - GREAT. Lovely area, lovely Cottage, lovely people. Thank you". Andy and Rosa. A remote control colour LCD TV with DVD player, a CD music centre, along with full gas central heating to ensure you stay is most enjoyable and comfortable. There is also reading literature and board games to while away the evenings.
" Lovely comfy cottage, perfectly placed for us non-drivers. We were delighted with the excellent customer service from the pleasant and helpful booking process to the thoughtful welcoming touches when we arrived. 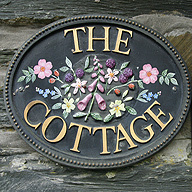 The cottage is very well equipped with everything you need to make for a care free stay. With a quaint village and scenic walks all on the doorstep this cottage was just what we wanted for our romantic week in the country. Thank you, we will definitely come again ". Jo & Jaime,. Thank you Catherine .The cottage is so well equipped to provide for a lovely stay. We arrived in the Spring and departed in the Winter! It was great to come back each day to a warm and welcoming little home from home. A lovely cottage in a lovely location. Great walks on the doorstep and for access to Snowdonia. Particularly reccommended is the Pont y Pair Pub for its atmosphere and food and the Olif for its Welsh Tapas if you want something a little different. Would also reccommend a visit to Bodnant Gardens -- Stunning. Fresh flowers and a welcome hamper were laid out for us when we arrived. The cottage is set back from the main road and has a little garden, which is lovely in the summer. The woods surround the property at the back, which is very picturesque. Prices from £300.00 per week in low season. 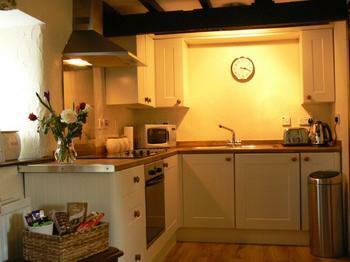 Short Breaks are available between October and March, minimum 2 nights stay at £75 per night. Change over day for 7 night stays is Friday. 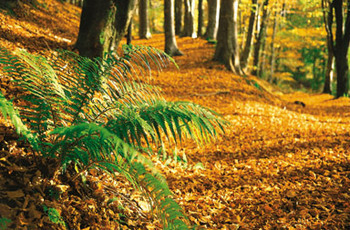 Autumn & Winter short breaks available from the 11th October to the 28th March at £75 per night, minimum stay 2 nights.